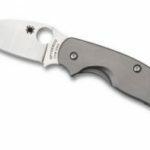 The first thing that stands out about Spyderco’s LionSpy is its drop point, a feature more typical of fixed blade knives, which gives the blade a unique profile and extends the cutting edge around a radius. 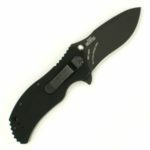 The handle is a mixture of G-10 composite, for a non-slip grip, and titanium, for durability and reduced weight. 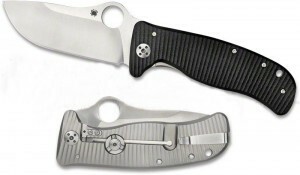 Even the locking mechanism, with an open back for easy cleaning and a hardened steel insert for durability, is unique. 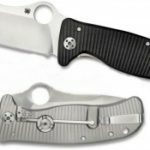 With the LionSpy, Spyderco has done their best to innovate and provide an entirely different take on what a folding knife can be. 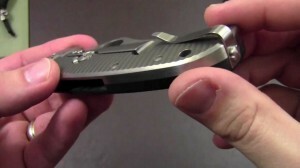 Let’s watch the video below for full detail review about this knife. This knife is extremely solid. 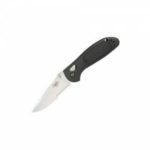 The blade, handle, and locking mechanism are all designed to be as reliable as possible. The LionSpy has an excellent reputation for performance and reliability in tough conditions. 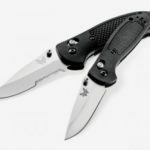 For anyone who finds themselves wishing their knife was just a little bit larger to fit more comfortably in their hands, this is the knife for you. While it’s not advertised as a survival knife, the LionSpy is at home in the woods. 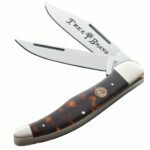 The thick, heavy blade makes splitting firewood easy, and the durable titanium handle insert means that it will hold up to anything you can throw at it. The LionSpy even has an open back, making it easy to clean dirt and debris out of the handle without any special tools. If you’re going to spend a long weekend camping, make room in your pack for a LionSpy. The LionSpy is big and heavy, and that’s either part of its charm or an inconvenience depending on what you need from a knife. If you’re looking for a knife that you carry every day and use once a week, the LionSpy might not be your knife. 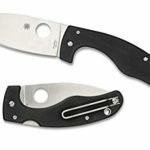 On the other hand, if traditional folding knives are just a little bit too small for you, Spyderco’s LionSpy is a great alternative. Some knives are small, light, and sit in your pocket without making a bump. The LionSpy, by design, is not one of them. This big knife will hack branches off of firewood, make a shower of sparks on a firesteel, or cut through anything you can think of without a problem. It’s got a great grip so it’s easy to hold on to even in the rain, titanium inserts for durability, next-generation steel that resists chipping and sharpens up fast. 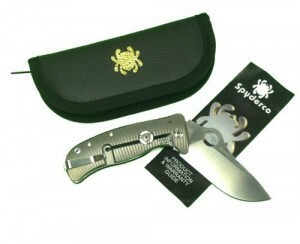 If you’ve got big hands or just need a heavy duty knife that performs in all conditions, get yourself a Spyderco LionSpy.